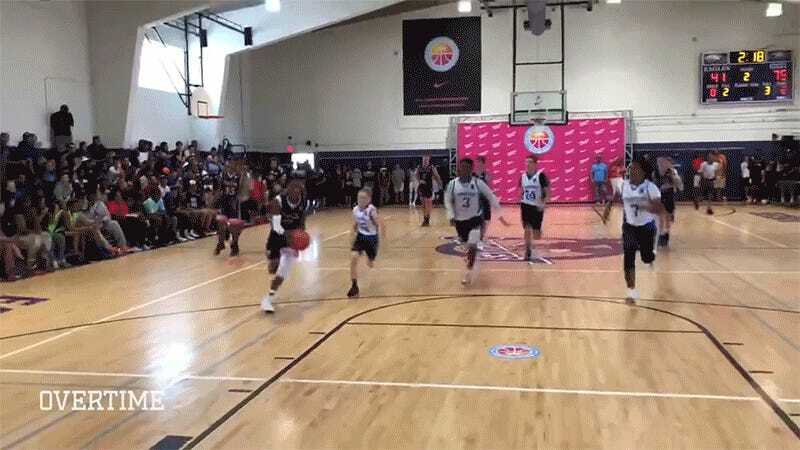 LeBron James Jr., a 13-year-old rising eighth-grader, nearly connected on his first attempt at an in-game dunk at the “Balling on the Beach” tournament in Miami this past weekend. Everyone in the stadium, including his father, erupted in joy and disbelief as they immediately realized the huge implications for the 2023 NBA draft class. “Man o Man,” wrote James Sr., who has said this his son handles and shoots the ball better than he did at that age, and who will definitely be headed to the Lakers this summer because he has definitely enrolled Bronny in a Los Angeles area school.